We are happy to announce that the Buy a Piece of Stephens Gap Cave Preserve eStore is now active. Named features are first come, first served so don’t delay if you have one in mind! Stephens Gap is one of the most beloved caves in the southeast, with a beautiful pit that cavers love and a huge walk-in entrance that draws hikers, photographers, and outdoor enthusiasts. 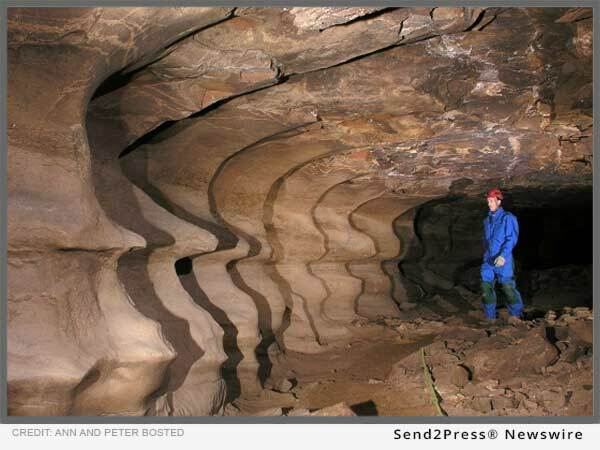 The SCCi is very excited to announce that we now own this fantastic cave! Located in the heart of Jackson County, AL, the Stephens Gap Callahan Cave Preserve is our 30th cave preserve! By purchasing this beautiful cave, the SCCi will ensure that it’s protected and preserved for future generations of cavers, hikers, and photographers. This purchase was not cheap. We need to raise $150,000 to cover the land costs, closing costs, and the funding needed to care for the cave in to the future. If you enjoy visiting Stephens Gap, or would like to visit it in the future, please join us in establishing our newest, and likely one of our most popular, preserves! Thank you for your support. The SCCi is pleased to announce a new lease agreement of Varnedoe Cave. This fine cave is located within the city limits of Huntsville, Alabama and is one of the more popular multi-drop caves in the southeast. Both entrances to Varnedoe Cave can be rigged all the way to the Fox Skeleton Room where the register is located. Entrance 1 has a pit series of 73’, 15’, 41’, 72’ and Entrance 2 has a pit series of 115’, 12’, and 69’ with the latter entrance route dropping near the waterfall in the Fox Skeleton Room. Beyond the Fox Skeleton Room are meandering passages that lead to tall dome complexes and a formation area. Access to Varnedoe Cave requires a permit. Contact the Varnedoe Cave Access Coordinator Julie Schenck Brown at varnedoe@scci.org at least three days before you would like to visit the cave. Due to the recent discovery of a wintering colony of Indiana bats, SCCi will now manage Run To The Mill Cave in a manner consistent with its other caves that contain significant populations of hibernating bats. Cave visitation is on a permit-only basis, limited to times when the hibernating Indiana bats are not present. Permits may be requested by contacting the preserve managers at runtothemill@scci.org. Individuals wishing to visit the cave will also be required to follow the SCCi Cave Visitation Policy, which includes following the Conservancy’s Clean Caving Procedures. Run To The Mill Cave is presumed to be positive for the presence of White Nose Syndrome (WNS), based on visual evidence of white fungus observed on tri-colored bats in January 2013. WNS is a disease of hibernating bats that has killed millions of the animals in the eastern U.S. and Canada since its discovery in 2006. The condition is named for a distinctive white fungus that grows on the noses and bodies of affected bats. While WNS is not directly harmful to humans, the loss of so many bats may have significant and far ranging impacts. Bats play a major role in many ecosystems, and benefit agriculture by crop pollination and insect control. SCCi is currently raising $200,000 to pay the costs of acquisition and funding for long-term stewardship of the new preserve. The Lyndhurst Foundation has already made a generous $50,000 grant in support of the acquisition, and SCCi members have also contributed or pledged another $50,000 to date. Donors wishing to support the Run To The Mill Cave Preserve acquisition may contribute securely online by going to the SCCi web site, www.scci.org, or by mailing a check to the address listed on the website. For additional information and more photos of the preserve, visit the SCCi Run To The Mill Cave Preserve web page, or contact SCCi Chair Ron Miller at chair@scci.org.